Looking for it factor and someone experienced at being a great distributor and running a team first? Look no further than Canadian floor general Keshon Montague of Brampton, ON. Montague is honing his craft at a community college in Kansas. Barton CC to be exact. After coming into the season unheralded via Pacific the 5-11 floor general has silenced his critics in one of Americas toughest community college conferences. Montague led Barton who had been preseason ranked sixth in the conference to a 26-6 overall record entering this weeks action. 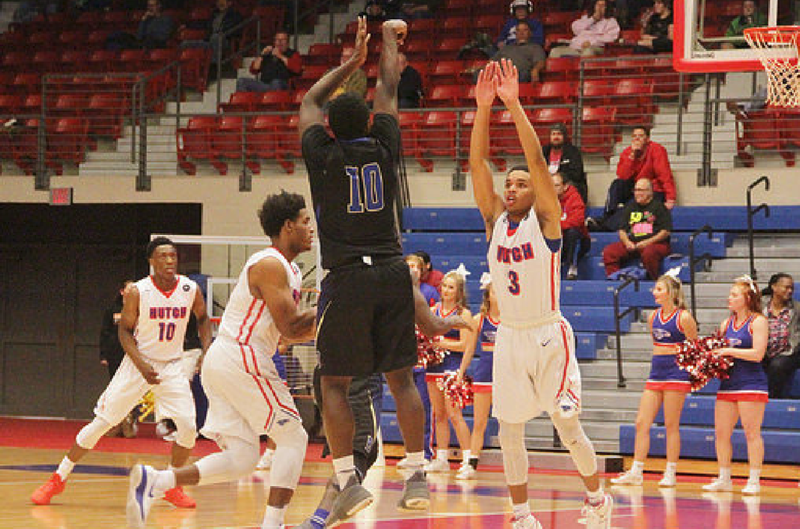 Montague also saw action against the defending NCJAA champions Hutchinson, KS three times and despite being on the wrong side of three tight contests Montague was still able to demonstrate what he has been known for since high school -- great point guard skills. He is quick, a great passer, handles the ball almost flawlessly, and he can shoot from long range. Defensively, he has quick hands and is very adept at stealing the ball and drawing charges. Montague against Hutchinson averaged 13.6 ppg, 5.3 apg and shot 43% from behind the arc. CB: Your season at Barton (KS), What did you expect entering the season both individually and team wise? Now In the end how do you view the season played out again both personal and for the team? KM: Individually I expected to do well. I had a lot of confidence going into the season because of what I was up against the year before. I played against high level D1 teams and held my own against the number 1 team in the nation at the time. So I expected to do well because I knew I could. Individually, making the all conference team was a goal I had set for myself and it feels great to have reached that goal. Team wise we knew we could be good but we didn’t know how long it would take to get to that point. Thankfully, in the end we clicked right away and surprised everyone in our league. Credit to our coaches for allowing us to play a style that suited us and for putting us in positions to be successful. CB: How would you describe your game? What are some of the strengths that you feel you immediately bring to the table at the next level and is there any players pro collegiately you model your game after? KM: I would describe my game as a point guard who can run a team, but also create their own shot whenever he needs to. I love the midrange pull up which most people feel is a lost art in today’s game. Immediately, I feel I bring some experience playing at the collegiate level. Playing in the Wcc, and one of the hardest juco leagues adds to that experience. Being able to lead guys and being an extension of the coach is something I can also bring to the table. I wouldn’t say I model my game after them, but I watch a lot of Chris Paul. The way he uses ball screens and finds his teammates, while creating his own shot is how I aspire to be. CB: You spent one season at Pacific playing in the WCC. What did you take with you from that experience? Playing under Damon Stoudamire a former point guard, what was that experience like? As head coach was he still able to pass on some things about the point guard position to you? KM: That experience was great for me. I got to play under a former Raptor, while playing in one of the toughest mid major leagues in college. Gonzaga, Saint Mary’s, and BYU are very good teams and I was able to play against all of them. That’s an experience in itself. Coach Stoudamire expected a lot from his PG being one of the greats himself, so it was challenging but he taught me a lot about ball screens and overall knowing how to play the PG spot. That experience was great for me because I was coached hard and was shown how to play the game right as a PG. CB: You played the defending champs Hutchinson 3x this season and averaged 13.6 ppg, 5.3 apg while shooting 43% from 3PT range. Did you view that as a litmus test for you? 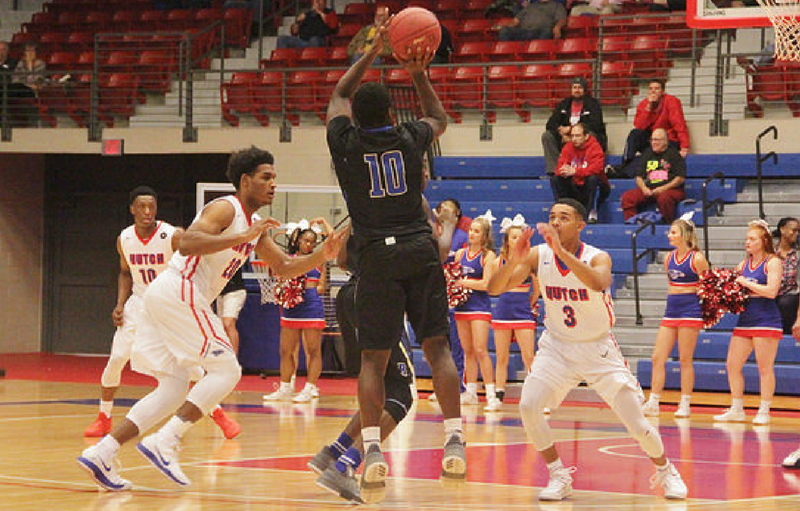 Your team finished 25-6 and Hutch was 3 of those defeats including in the conference tourney your thoughts on that season series? KM: Yes that was the test for me. Hearing about Hutchinson and what they’ve done over the past few years I knew that was a game that everyone was watching so I had to do good. Those games were some of the best games we’ve played all season. We played excellent at their place the first time but just couldn’t make plays at the end, and the third time was another excellent game that didn’t go our way. Those were hard-fought games from both teams that could’ve ended either way, but I’m proud of how we pulled together the last game. 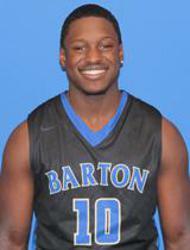 CB: Barton has been linked to possibly a 3rd at-large bid from Kansas to play in the 24 team national tourney. How do you like your chances? KM: Right now our chances aren’t looking the best but there’s still hope. We have one of the top records in the nation, in arguably one of the toughest leagues in the nation so that should hold some weight. Hopes are still high to get in but if not this was an excellent year with some of the best teammates and coaches I’ve had in a while. Wouldn’t change this experience for anything. CB: What are some of the things you covet at the next level? Any criteria for the college of your choice? KM: Looking for a place where I have a good relationship with the coach, who I can grow and learn from. And a school that values academics along with good athletic standards! CB: You represent Brampton, ON. One of the more fertile spots in Canada for basketball. Also, Devonte Bandoo fellow Brampton was named all-conference team with you. What makes Brampton such a hotbed for producing Canadian talent? KM: I think the fact that over the past few years we’ve seen guys like Tyler Ennis, Tristan Thompson, and Anthony Bennett have so much success at this level it has caused many of us to believe our dreams can come true. Seeing people we can relate to at the highest level has made us work harder and put more effort into becoming the best we could be and it’s only the beginning.